Opened in 2003, the Woryeonggyo Bridge (387m in length and 3.6m in width) is the longest pedestrian overpass made of wood in Korea. Woryeonggyo Bridge harbors a tragic yet beautiful legend about a wife who made a pair of Mituri (hemp shoes) out of her hair in heartfelt yearning and condolence for her late husband. 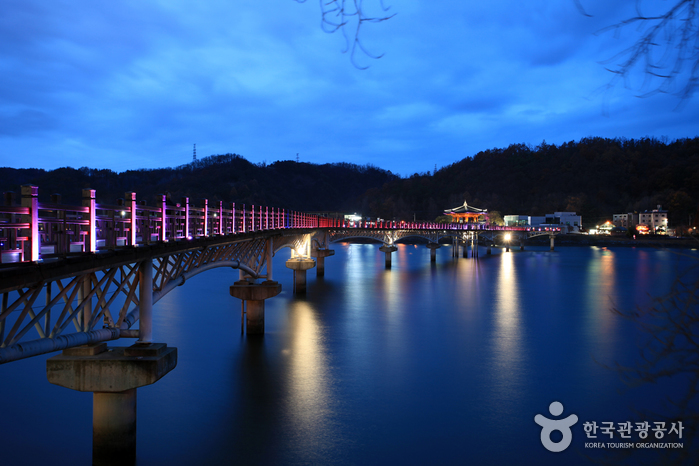 In commemoration of her pure and noble love, the bridge was designed in the style of Mituri. 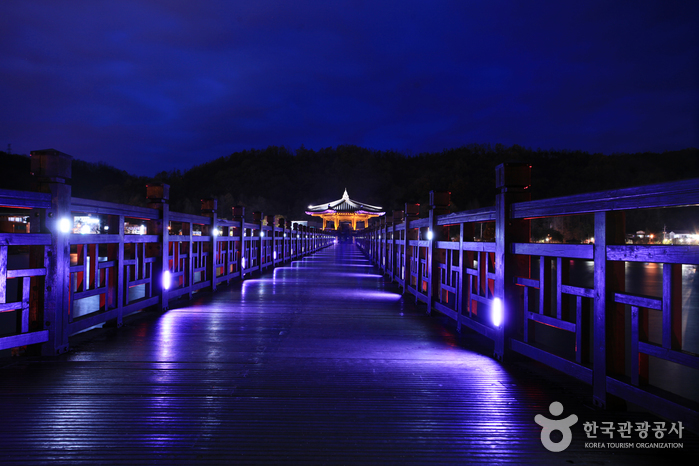 At the center of the bridge is the Woryeongjeong Pavilion.